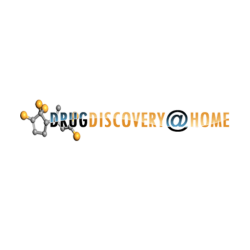 DrugDiscovery@home is a distributed computing project, which gives the opportunity for volunteers worldwide to help development of new medicines. Our priority fields of research are cancer, age-related diseases, antibiotics and anti-virals. The goal of DrugDiscovery@home is to provide much cheaper drugs and bring them faster to clinical trials and then to patients. DrugDiscovery@Home uses the power of different computing devices worldwide (PC, GPUs, smartphones, clusters etc.) for development of new medicines. The computing time is kindly provided by volunteers, who want to make their impact into discovery of new drugs for the most dangerous and widespread diseases.